B1600. Henry C. Lahee. Famous Singers of Today and Yesterday. Boston, L.C. 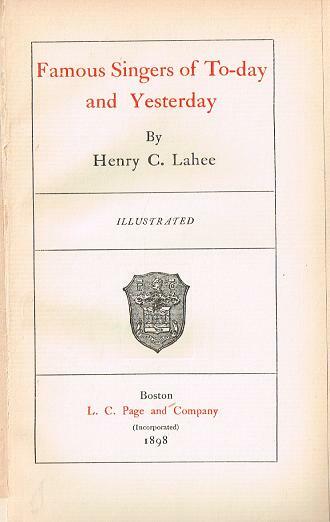 Page, 1898, First Edition. 337pp. 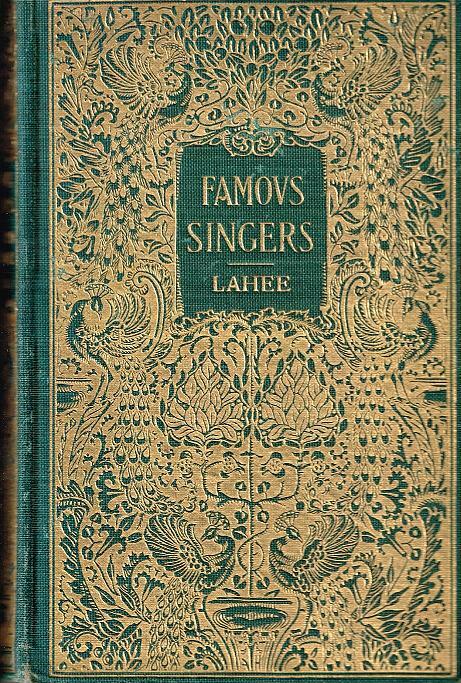 Photos & brief bios and commentary about singers, incl.Patti, Nilsson, Calvé, Scalchi, Lind, Jean & Édouard de Reszké, Melba, Eames, Alvary, Nordica & Plançon. Gold-embossed cover & spine. Pages have gilt tops.